In her spare time, she continues to enjoy the association of family and friends in addition to her tranquil moments reading by the fireplace during the crisp winter or on her back porch enjoying nature during the warmer seasons. In addition to writing, she serves as a caregiver for a family member and offers assistance to those new to the responsibility. "Through training and experience, I find it a joy to share what I've learned with others. Now they know what to expect as well as abide by health guidelines in caring for a loved one." She encourages reading to the elderly. "Reading to our elders is not in vain. As long as they can still hear us or just feel our touch to assure our presence, they are comforted to know that they are not alone. An inspiring story read to them will lift their spirits and grant them comfort." Ms Turner believes that caring for the sick along with personal prayer and daily Bible reading have opened her heart to fully appreciate the needs of others. "Applying the fruitage of the spirit according to Galations 5:22,23 was a true wake-up call for me in dealing with various situations. Daily application helped me grow stronger spiritually and emotionally." Gardening, sketching and a bit of photography are her other passions. On good sunny mornings, she can be found on her back porch with a cup of java and her laptop. She lives with her family and their dog, Rikki, in North Carolina. Listen in on interview with Latrise Carter of Sistah's Place2 Inspiration & Entertainment News. Tidbit: Ms. Turner takes pride in writing wholesome reading for the entire family to enjoy. "We need to be inspired, uplifted in these trying times." She makes learning fun as noted in her books for her young readers. Her novels are "pretty much just about life, finding solutions and hope with a touch of drama and humor. It's comforting to know we're not alone with the issues we face. In time, there's always a reasonable solution waiting on the other end of the tunnel." Friendship and family hold dear to her. "We're not perfect, we don't agree on everything -- but that's okay. We continue to be there for each other -- no matter how near or far. To me, that's enriching and I hope to share the same inspiration in my stories." The historical Mill has shut down, leaving the Town of Future in financial despair. Without work the town will not survive. A prominent developer seems to offer hope for Future, or is it just a greedy scam. Meet Eden Future Trueblood, one of the descendants of Future's founders. Despite the recent loss of her beloved son, Eden is determined to fight through her grief for the sake of her legacy and what rightly belongs to her beloved community. She can't do it alone. How will she convince others that their hope to remain in Future is not futile? RELEASE DATE TBD -- COMING SOON! ​Two guarded strangers briefly linked during a heist. Melanie Harris is rescued by handsome entrepreneur, Kendall Myers. When police, media and curious onlookers appear, they are suddenly separated without introduction. Unknowing to Melanie, Kendall lives an ocean away. Will they ever meet again, or was the phrase "love at first sight" just a dream? "I'm so dead... if I don't find my sister soon, this may be the last day of my life." for her younger sister, Starr, who disappears in the mall of all places. Autism combined with curiosity and mischief can label Starr more than just a handful. To face their uptight parents is another unbearable consequence, causing Skye's teenage declaration of independence to appear more and more dismal. disaster for which she feels responsible. I wish to thank Derek Mayo for his fine work. Upon seeing the painting, it gave me the vision of the amazing artwork of Starr Patterson, a special character in my story. Although autism may have hindered Starr's ability in verbal expression, her voice was expressed in her art. Great job, Derek. "Everybody, everybody, come and join our cheer. We're the ABC Cheer Babies, loud and clear. Welcome kids, young and old, hear our call. Learning can be so much fun and we will have a ball! When you open up our book, just wait and see. Everyone who joins our cheer will learn their ABCs! Soon you'll learn your ABCs. The Land Family and friends are all excited about the upcoming surprise party for Grams and Big Papa's 50th wedding anniversary. Everyone seems to have gotten a present except Joseph. The party is only a few days away, and he still has no idea what to give his grandparents. Join Joseph on his frantic search to find a special gift for Grams and Big Papa. 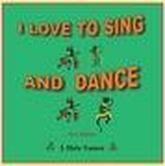 The colorful characters and various types of drums from all over the world can only draw its readers to do just that -- sing and dance. Children will happily join in the rhythmic sound of the drummers and their dancers. where you’ll find a happy face.